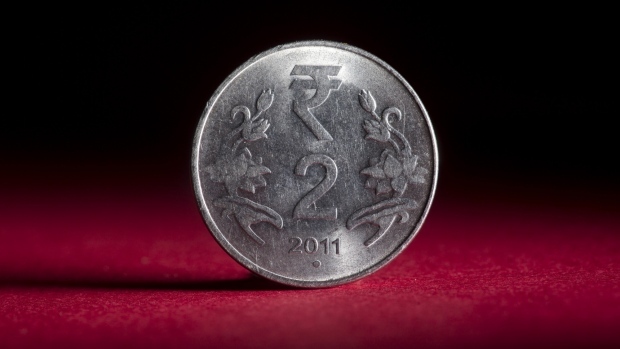 (Bloomberg) -- India’s government is asking the central bank to hand over a part of its surplus reserves to put that to more productive use, an official told reporters in New Delhi. The matter is pending before the board of the Reserve Bank of India and is likely to be taken up again at its next meeting likely on Nov. 19, the official told reporters, asking not to be identified citing rules. The norms for sharing excess capital reserves should be set in line with established global practices, the official added. The government’s demand is expected to further fuel tensions with the RBI, which has been pushing back any moves that curtail the central bank’s independence. The finance ministry last week said it respects the autonomy of monetary authority, but only after differences over handling of weak state-run lenders and tight liquidity in the market spilled out to the open. Most central banks around the world keep 13 percent to 14 percent of their assets as reserve, compared with the Reserve Bank’s 27 percent, the official said. Arvind Subramanian, former chief economic adviser to the government, had argued in his Economic Surveys that the central bank was sitting on too much capital and “assuming that the RBI returns four trillion rupees of capital to the government” it could be put to productive use. Last year, the RBI parted with 100 billion rupees more as interim dividend -- an idea opposed by Governor Urjit Patel as he seeks to strengthen the central bank’s balance sheet to prepare for contingencies. “Having adequate reserves to bear any losses that arise from central bank operations and having appropriate rules to allocate profits including rules that govern the accumulation of capital and reserves is considered an important part of central bank’s independence from the government,” RBI Deputy Governor Viral Acharya said in his Oct. 26 speech that triggered the row. The government also wants the RBI to be lenient with capital adequacy norms, the official said, adding those norms for lenders are very stringent compared with global standards. The liquidity squeeze in non-banking finance companies could have a spiral effect and impact growth if not addressed immediately. The government wants some of these strictures to be eased so that banks can kick start lending and support economic growth ahead of a general election early next year.